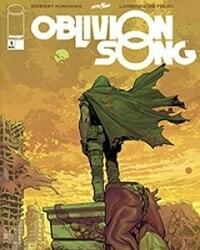 Oblivion Song Average 3.42/5 - out of 48 total votes. A decade ago, 300,000 citizens of Philadelphia were suddenly lost in Oblivion. The government made every attempt to recover them, but after many years, they gave up. Nathan Cole...won't. He makes daily trips, risking his life to try and rescue those still living in the apocalyptic hellscape of Oblivion. But maybe...Nathan is looking for something else? Why can't he resist the siren call of the Oblivion Song?